This is a one night only event that will not be broadcast - you have to be there to see it all go down. It will all go down on July 11, 2019, when Clark and Rallison face their biggest test of endurance yet: leaving their computers for an extended period of time. One part comedy show, one part attempt at fighting, one part chess (or maybe checkers if we can't figure chess out...) Be there to see who reigns SUPREME (is that still a good thing?). Alex Clark is a seasoned comedian and YouTuber, most known for his animated YouTube channel "It's Alex Clark" where he has amassed 4 million subscribers. He recently completed a 21-city nationwide comedy tour that culminated in the filming of his first stand-up special. After James "The Human Marshmallow" made an open call looking for a chess-boxing opponent Alex took one look at him and said "Sure I'll do it. I'm hungry". Soon after, James accepted Alex's request. He was not suppose to do that. James Rallison started making cartoons alone in his bedroom, but seven years and 11 million subscribers later he still makes cartoons alone in his bedroom. He also owns the best dog in the world named Floof and has appeared in the most disliked video on YouTube. He doesn't know how to play chess, but he knows how to hit hard. Traditionally, chess boxing is a hybrid sport that combines both chess and boxing. Chess and boxing rounds alternate and last 3 minutes each. The game ends when someone is either KO'd or the chess game is won. PYLUSD Performing Arts Center - 1651 Valencia Ave, Placentia, CA 92870. The venue is about 11 miles from the Anaheim Convention center where Vidcon is held. The show itself is about 45 mins - 1 hour, and the VIP meet-and-greet/ Q+A will last for about 2 hours after the show. Probably Not. Putting this together has been a ton of work and adding in a quality live broadcast would add another layer of complexity we're not ready to tackle. That said, we know fans want to see it all go down so we will definitely be doing recap videos after the event. IS THIS A REAL BOXING MATCH? WHAT DO VIP GOLD TICKETS GET YOU? Priority seating at the front of theater (see diagram). 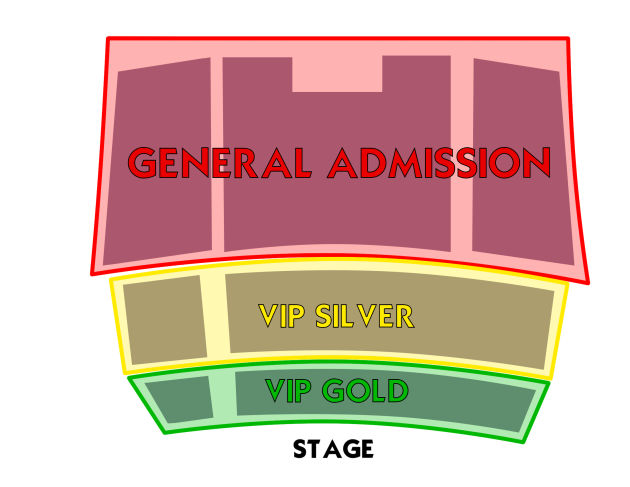 WHAT DO VIP SILVER TICKETS GET YOU? WHAT DO GENERAL ADMISSION TICKETS GET YOU? This is an all ages event, but children under the age of 14 must be accompanied by an adult. *The best way to guarantee a picture with Alex and James is to sign up for a VIP package. They'll be meeting and taking photos with everyone that purchases a VIP ticket.